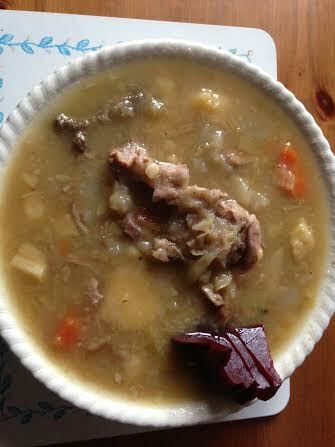 Stew using lamb’s necks and root veg. Couple of onions or so and I had a couple of leeks left so I chucked ’em in too(although leeks are not normally part of this dish; waste not, want not). Traditionally the stew would be cooked so much over several days that the potatoes would dissolve. I boil mine beforehand (controversially keeping the skins on!) and mash ’em at the onset. Keep the drained water for stock. 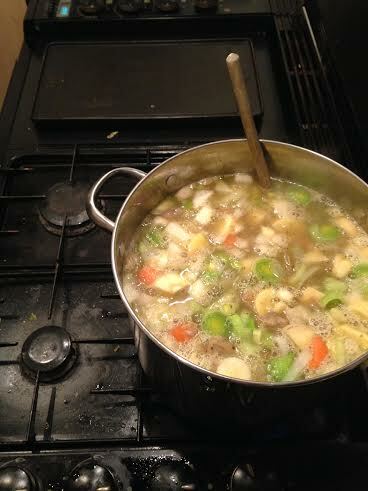 The spuds then act as the thickener for the stock. Brown the meat – take out – soften the onions up. Add the meat; cover with stock; add the veg (this time potatoes, parsnips, turnips and carotts; salt, pepper and a few herbs. Top up with cold water as shown; bring to boil; put on lid and simmer for a few hours. Some say to wait until the next evening to eat, as it tastes better each day but life is too short in this house. Some use beef instead, apparently – rank amateurs! Blind scouse is the vegetarian option, whereby traditionally: the meat was omitted when poverty dictated that you couldn’t have any. Throw in a nob of butter before the end of cooking. Serve with some beetroot (or pickled red cabbage) and a couple of pieces of bread. Some tastes like a dash of Worcestershire sauce or a small squirt of brown sauce. Labskaus in Hamburg: a kind of corned beef and beetroot mash. 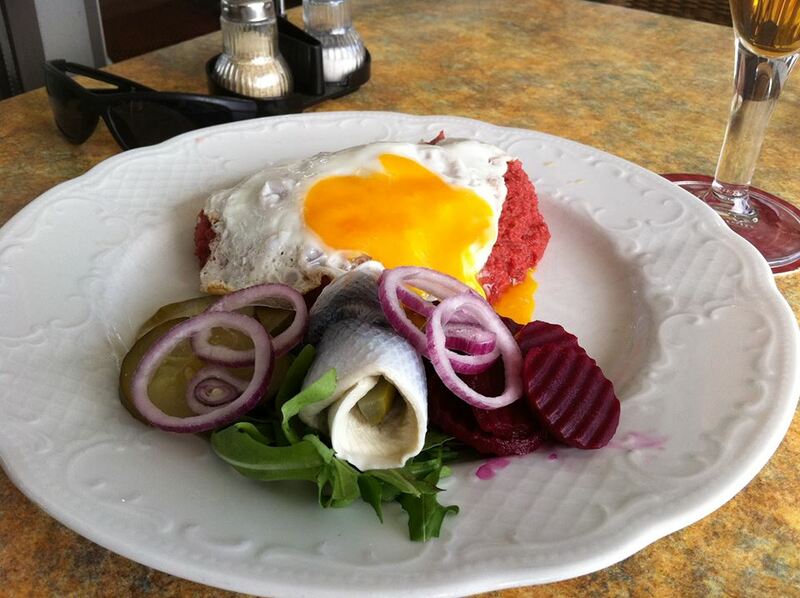 An egg on top and a herring is always included. This entry was posted in The 'Urban Farm' and tagged beetroot, bread, brown, cabbage, hamburg egg, herring, labskaus, lamb, lambs, liverpool, lob, lobscouse, necks, red, root, sauce, scouse, stew, vegetables, worcester, worcestershire. Bookmark the permalink.